Most people set up their insurance, pay the premiums and then file the paperwork in a cabinet, never to be seen again. However, whether it’s long-term care insurance, health insurance, life insurance, or something else entirely, it’s important to review your coverage at least once a year. Read on to learn more about how Welden Financial can help negotiate your current insurance coverage or find another solution to fit your needs. There are two basic types of life insurance: permanent and term. Although there are many variations on these two basic types, if you have term life insurance, your policy has no cash value. In fact, as the name implies, you only have coverage for a certain window of time before your policy ends and you have to renew. Permanent life insurance has a cash value that builds up over time…the internal cash value has many uses…it can be used to offset premium payments, can be borrowed, or can increase the death benefit of the policy. In reality, although permanent life insurance has higher premiums than term, over the normal lifespan of an individual, permanent life insurance ends up being less expensive. Regardless of the type of life insurance you have, it’s important to review the coverage annually to make sure it still fits what you need. If you no longer need the policy, we can assist you in liquidating it. We feel it is our responsibility to assist your survivors after your death. To be able to do this, we need to understand your policies, ensure they are what you need, and know where they are located. 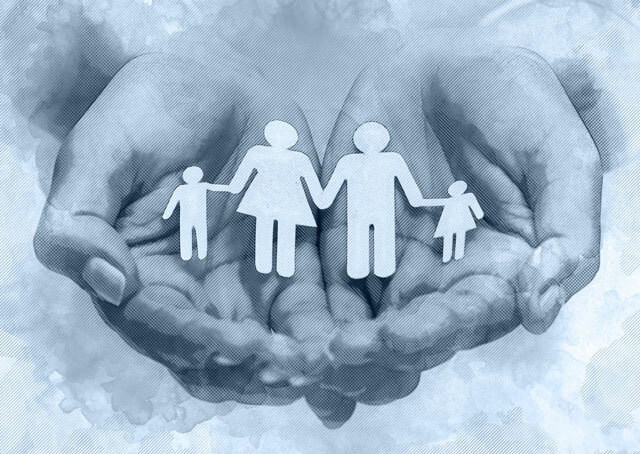 We will help your survivors file for the death benefits, handle whatever administrative requirements are needed, and will work diligently to make sure your loved ones incur no additional stress (financial or otherwise) at the time of your death. Health insurance today is far more complex and expensive than it has ever been. Premiums and deductibles are higher, coverage is less, health insurance companies are consolidating which creates less competition in the market, and doctors are participating in fewer networks. This situation will become more confusing over the next few years as Obamacare/Affordable Care Act is changed into a plan that provides the consumer with comprehensive, affordable health insurance. We can help you navigate through the maze of information and misinformation that clouds this landscape. We stay abreast of the new changes and rules in both individual and group health insurance, and can help you make sure the health insurance plan that you have is what you, your family, and employees need for your particular situation. We are appointed as agents with all the major insurance companies and can easily find policies that fit what you need. Part of building wealth is risk reduction…insufficient property insurance coverage and an unexpected loss can adversely affect your savings and disrupt your financial plan. Although we are licensed to do so, we do not write property insurance in-house. We have a network of trusted insurance professionals of whom we will ask to work with you to address the risks to which we think you are exposed. Most Americans are better prepared financially to pass away than to become disabled, although the chances are at least three to five times greater of a disability occurring. For most people, the ability to earn a living is their most significant financial resource. A disabling illness or injury often stops income, imposes additional costs, prevents building wealth, and usually drains retirement savings. A 35-year-old person has a 50 percent chance of becoming disabled for a 90-day period or longer before age 65. About 30 percent of Americans ages 35-65 will suffer a disability lasting at least 90 days during their working careers. About one in seven people ages 35-65 can expect to become disabled for five years or longer. As part of our financial planning process, we can help you select an affordable disability insurance plan that can mesh seamlessly into your financial plan. From the early 1990s until about eight years ago, many insurance companies sold long-term care policies to address Middle America’s concern about paying for care in their later life. The policies would pay for personal aides, in-home and nursing home care and cover those expenses not covered by Medicare. Unfortunately, most policies were underpriced. Since then, all but a few companies have abandoned the long-term care insurance market. However, there are a few good companies who still specialize in providing long-term care insurance. We can assist you in deciding if you need a long-term care policy and what provisions the policy should have as well as provide other options that could be available to pay for long-term care if needed. When you turn 65, you become eligible for Medicare. Medicare is the federal health insurance program for people who are 65 or older, as well as for certain younger people who are disabled. We can help you understand what the four parts of Medicare provide, why you should have a Medicare supplement insurance policy, and which policy fits your individual circumstances best. We can assist you in enrolling in Medicare as well as applying for a Medicare supplement policy. Do you have adequate insurance coverage? Welden Financial is simply and solely focused on improving the financial well-being of our community by delivering personalized financial strategies and building lasting relationships with the families who have entrusted us. Welden Financial will continue to be a premier financial service provider and the planner of choice for families seeking professional, independent guidance toward pursuing their goals and financial well-being. Securities offered through LPL Financial, Member FINRA/SIPC. Investment advice offered through Independent Financial Partners, a Registered Investment Advisor. Independent Financial Partners and Welden Financial are separate entities from LPL Financial. The LPL Financial representatives associated with this website may discuss and/or transact securities business only with residents of the following states: AL, AR, AZ, CO, FL, GA, IL, IN, KY, LA, MI, MS, MT, NC, OH, SC, TX, WA, WI.